Now that looked like a fun day! Smiles all around. Is it okay that I'm hyperventilating for you? I mean, if my kiddo was on that climbing structure, I'd be fourteen shades of white, hee hee! They look like they had a blast in the sunshine! I went out and took basically the same pictures today - so funny! minus the chips - next time I will think of that :) looks like a great time had by all! mmmmm chip sandwiches! Looks like you took full advantage of that gorgeous sunshine! I love the simple things and so do the kids!! Looks like a great day! 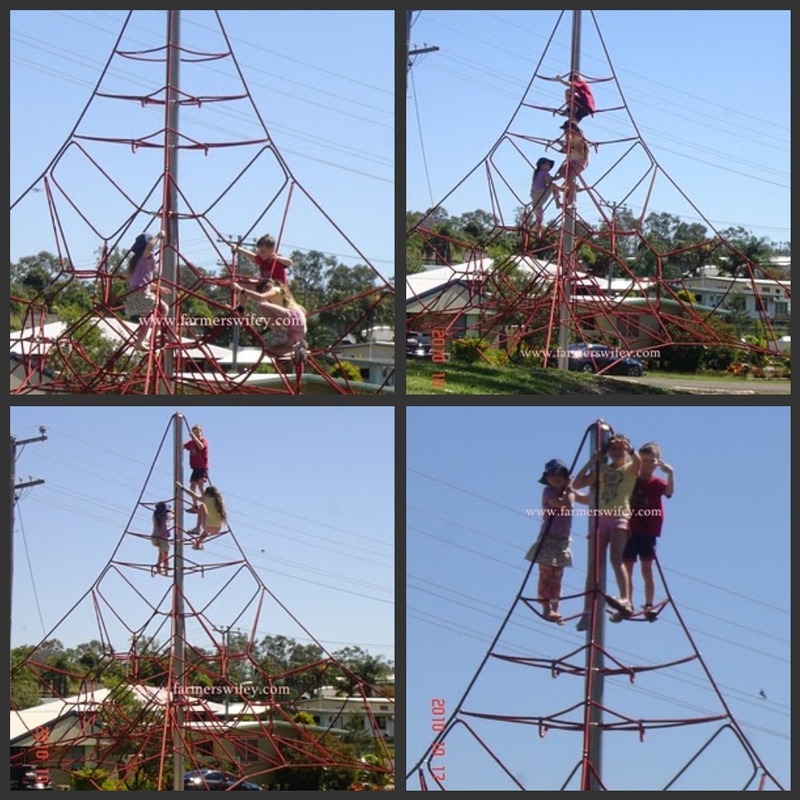 you wouldnt get kids climbing a structure like that in the UK.,..too much health and bloody safety!!!!! office to which you'll be able to visit sign up for financing and find the cash you need.